G.O. (Ms.) No. 24 Dt: April 12, 2017 289KBCommercial Taxes Department – Premature Payment of the amount of deferred taxes at Net Present Value (NPV) Scheme – Rate of discount for the financial year 2015-2016 – Orders – Issued. G.O.(Ms.) No.25 Dt: February 09, 2016 3MBCommercial Taxes Department – Rewards to Private Informants and Government Servants under all the Acts governed by Commercial Taxes Department – Enhancement of quantum of reward to Informants and revised guidelines – Orders – Issued. Gazette No. 229 Dt: August 12, 2013 15KBAmendment to the Tamil Nadu Value Added Tax Rules, 2007. G.O Ms.No. 63 Dt: June 11, 2013 129KBRULES – Tamil Nadu Value Added Tax Rules, 2007 – Amendment to Annexure I-A to Form I and Annexure to Form J – Notified. G.O Ms.No. 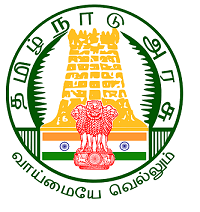 54 Dt: May 29, 2013 21KBRULES – Tamil Nadu Entertainments Tax Rules, 1939 – Amendment – Order – Issued. Gazette No. 98 Dt: April 16, 2013 18KBExemption from payment of Value Added Tax on sale of goods to the TAIPEI Economic and Cultural Centre (TECC) in Chennai under the Tamil Nadu Value Added Tax Act. G.O Ms.No. 39 Dt: April 09, 2013 35KBCommercial Taxes Department – e-payment of commercial taxes – Introduction of method of online linked offline payment of taxes through the Bank counters of 19 Public Sector Banks already authorized to undertake e-payment – Orders – Issued. G.O Ms.No. 40 Dt: April 09, 2013 41KBCommercial Taxes Department – e-payment – Approval of e-focal point branches of Bank of India, IDBI Bank, Corporation Bank, United Bank of India and Punjab National Bank – Orders – Issued. G.O Ms. No. 30 Dt: March 21, 2013 21KBTamil Nadu Value Added Tax Act, 2006 – iPod, iPhone, MP3 and MP4 players – Variation to Notification and Amendment – Notification – Issued. G.O Ms.No. 24 Dt: March 13, 2013 29KBCommercial Taxes Department – Premature Payment of the amount of deferred taxes at Net Present Value (NPV) Scheme – Rate of discount for the financial year 2012-2013 – Orders – Issued. G.O Ms.No. 18 Dt: March 01, 2013 18KBTamil Nadu Value Added Tax Act, 2006 – Exemption from payment of VAT on Battery operated motorised retrofitted scooter for the use of differently abled persons – Notification – Issued. G.O Ms. No.7 Dt: February 06, 2013 21KBTax – Tamil Nadu Value Added Tax Act, 2006 – Exemption from payment of Value Added Tax on the sale of LPG for domestic use – Notification – Issued. G.O Ms.No. 153 Dt: December 08, 2012 25KBTamil Nadu Tax on Entry of Motor Vehicles into Local Areas Act, 1990 – Embassies/Consulates of 119 countries – Exemption from payment of Entry Tax – Notification – Issued. G.O Ms.No. 155 Dt: December 08, 2012 19KBTamil Nadu Value Added Tax Act, 2006 – Exemption from payment of Value Added Tax on the sale of furnace oil for use in Gen-sets by the HT consumers for the period from 1.10.2012 to 31.5.2013 – Notification – Issued.